In the past year, I have been volunteering at the Fresno Rescue Mission serving meals to the less fortunate. My experience at the Fresno Rescue Mission has been wholesome, and more recently, it has been an unforgettable one. Not long ago, a member of the organization going through the rehabilitation program asked me, “Why do you volunteer?” My explanation should have been simple, but I struggled to express the answer in the correct words because there were no words to explain the feelings and emotions I felt when I volunteered. I thought to myself, “I enjoy helping others because it is a rewarding experience, to be a part of something beyond simply serving food to one individual.” I am that one small push towards change for the better because “even the smallest person can change the course for the future” (J.R.R. Tolkien). It has been inspirational to see multiple people in the program grow as individuals from when they entered to when they finished. Being a part of that initial change has been a reward in itself. A large percentage of families in Fresno live in poverty, and Fresno is known to hold one of the largest populations of homeless people. Although Fresno is ranked among the top cities to be the most impoverished in the nation, many people are unaware of the growing problems or disregard the existence of poverty and homelessness. Unfortunately, it is difficult to help families move above the poverty line; however, I believe that we can try and improve the current conditions that we are faced with. People who have never witnessed homelessness often have difficulties comprehending the reality and the struggles homeless people face. I cannot say that I have experienced a similar situation, but being exposed to it has helped me become more thankful and more willing to extend a helping hand to the community. So, why do I volunteer? When I volunteer I feel selfless and it takes me away from my busy schedule. Although I always seem to be stressed-out with school, volunteering has been a stress-reliever. By volunteering at the Fresno Rescue Mission, I learned more about the Fresno community, gained communication skills, and met amazing people. It makes me so joyful knowing that a simple gesture such as serving a meal can make an impact, more than I realized. It is the small things in life that make all of the difference. I guess what I am trying to say is that I volunteer because I believe at some point everyone is in need of help, and if I am capable of being a part of the help, I will do what I can to be of assistance. Consider serving-a-meal with me, it is a simple application and orientation. Think about what you can do to help others and what impact you can make in the community. What will you do today to make your community a better place? How has service impacted your life? How has service been rewarding for you? But, most of all: WHY DO YOU VOLUNTEER? Fresno State students help out at the Community Food Bank by preparing Holiday baskets. My name is Shola and I am a first-time Ambassador. I’m very excited to do my first blog post! After Halloween, all the holidays seem to rush and overlap one after another. During that time, while we are celebrating our families and what we are thankful for, we should keep in mind that there are individuals and families that are less fortunate than us. There are so many volunteer organizations in Fresno that aim to assist the best they can. The Poverello House is a well-known and its great place to begin your community service journey. 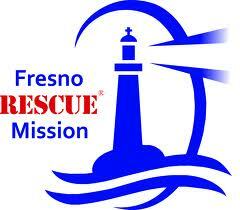 Fresno Rescue Mission is another great place to inquire about volunteering. For the past few years, I’ve started to become more aware of the issue of being homeless for the holiday. It worries me that over the next few years, we will be seeing more and more families and people on the streets, with no one to celebrate Thanksgiving, Christmas, or other family or religious traditions. You might be thinking, “it’s so far away, I can worry about it later”. That, however, causes the issue to become less important. Thinking about the issue and how getting involved now will be worth it to see those that need your help feeling happy and thankful for their 2014 year.